Today we answer the age old question: Do blonds really have more fun? 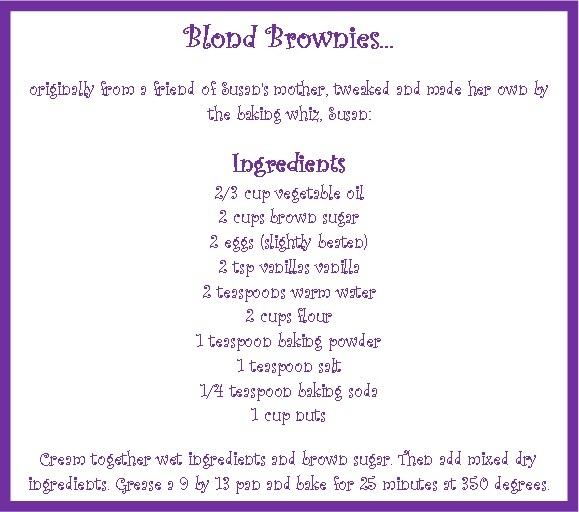 Blond Brownies, that is. Like any good, quality American, I love a rich, decadent, chocolate brownie. But sometimes you want something different. 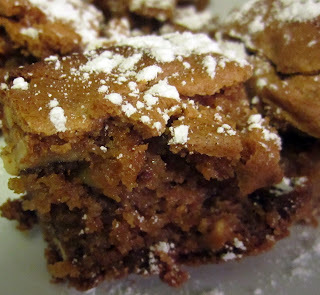 So when I mentioned to Mr. Fo that I make "blondies" for our weekend treat, he suggested I make his mom's Blond Brownies. 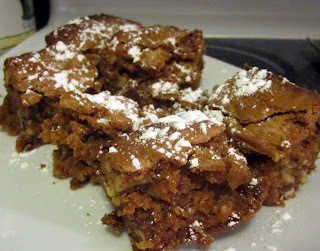 Not exactly blondies, but a similar concept. Since I have never eaten a bad dessert from my mother-in-law (Susan), I took his advice. 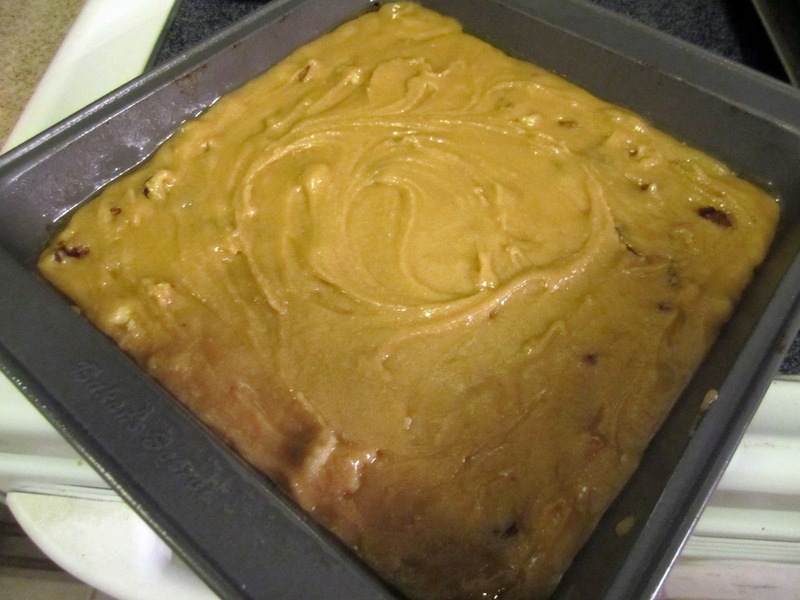 After researching a few recipes, I noticed that traditional blondies have butterscotch chips in them, so I was surprised that Susan 's recipe didn't. But it was just fine without them, believe me on this one! I adore this caramel color! You just know this is going to be good. NOTE: As you can tell, I used an 8 by 8 inch pan to get thicker brownies. This adjusted my baking time...instead of 25 minutes, it was almost 45-50 minutes until the center wasn't liquid. It worked out nicely because it gave the brownies a delicious crunchy crust. After you let the brownies cool, which is nearly impossible, dust them with a little powdered sugar. You know, just because. Why not, right?! I mean, are you serious? I want to cry right now for 2 reasons: 1) There are no more blond brownies at the house since we ate them all this weekend and 2) we finished an entire pan of brownies in 2 days. Whatev. That's right, it's lavender. It's an OPI color called "Done out in Deco." I know you think I'm crazy...but guess what, it's totally in! 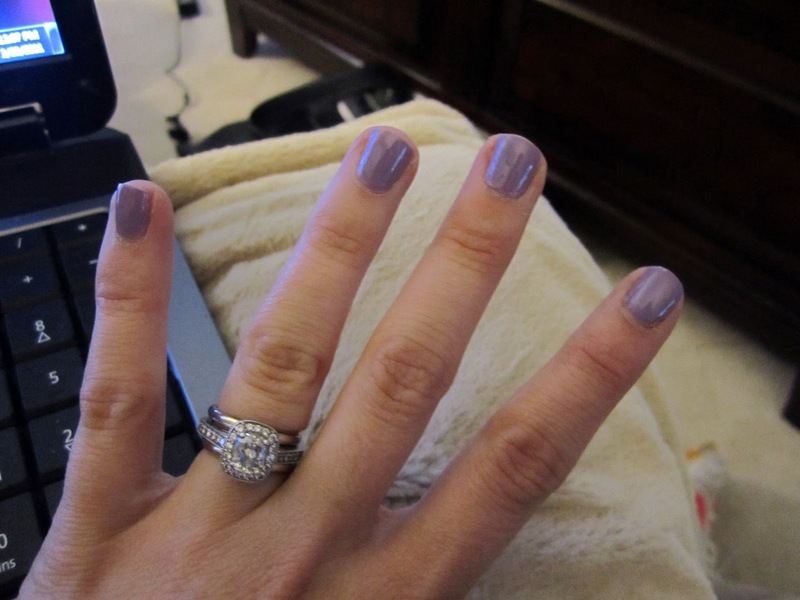 I have seen lavender nails advertised in many a magazine this season. You don't believe me? You know I will be sporting this for Easter...it's the perfect Easter egg color. Blond brownies and purple nail polish...those were the highlights of my delightfully low-key weekend. This sounds so incredibly good! Thanks for sharing! oh my gosh those look insanely yummy!!! beyond! p.s. love your nail polish color! They look amazing! I love the nail polish color. I totally agree, it's the perfect color for Easter! Yum! 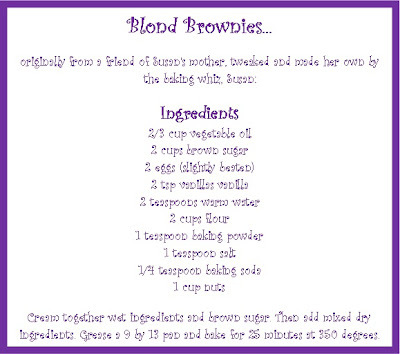 Love blonde brownies, I am saving this recipe.